Gold Fever in China Sparks “Global Phenomenon” of Demand for Yellow Metal! Inflation risk is driving “explosive” buying of physical gold in China, putting the country on a path to becoming the world’s number one gold consumer and driving demand for the yellow metal to a 10-year high. Chinese demand for gold bars and coins reached 180 tons in 2010, up a whopping 70% from 2009, Albert Cheng, the World Gold Council’s managing director for the Far East, said at a news conference last Thursday. China was the “strongest market for investment demand” in gold last year, Cheng said while discussing findings released in the 2010 Gold Demand Trends Report. He added that Chinese gold demand nearly tripled in the last 10 years to around 600 metric tons – and that it may double again in less than a decade. “Last year was a great year for gold globally, and especially for India and China. India emerged as the strongest market with total demand rising…amid strong economic growth,” Ajay Mitra, the WGC’s Managing Director for the Middle East and India, told reporters. Investment demand for gold in China was especially hot in the fourth quarter of 2010, rising 84%, said Wang Lixin, the WGC’s China managing director, attributing the surge mainly to concerns about inflation. “The main motivation behind this demand has been concern over domestic inflation pressure and poor performance of alternative investments, combined with expectations of further gold price gains,” the WGC’s report said. “Inflation is beginning to cross-pollinate as ultra-loose monetary policy in the United States is exported to places like China, pushing up wages and commodity prices…” analyst Anthony Mirhaydari wrote last week in a column for MSNMoney. Core consumer prices in China increased 2.6% year-over-year in January, after posting a 2.1% rise in December. The producer price index (PPI) jumped 6.6% — well above December’s 5.9% and significantly more than the 6.1% increase forecast by analysts. China’s broader consumer price index (CPI) increased 4.9% year-over-year in January, exceeding the official government inflation ceiling of 4% for the fourth month in a row. But Money Morning Chief Investment Strategist Keith Fitz-Gerald sees the Chinese government’s desire to move away from dollar-based currency reserves as a more important reason for the gold fever sweeping China. The WGC said that the increase in investment demand for gold is a “global phenomenon,” and is set to remain strong in 2011 though growth will likely slow from last year’s pace. China’s appetite for the yellow metal is expected to remain robust in 2011, making it a significant force in global gold prices. Demand for gold investments in China could grow 40% – 50% this year, with gold jewelry expected to rise a more moderate 8%-10%, said the WGC’s Wang. Meanwhile, the country continues to cement its role as the world’s largest bullion miner after it toppled South Africa from the perch in 2007. Although it’s rarely mentioned in the Western media, the Chinese government is encouraging their citizens to buy physical gold bullion as part of an effort to cool further investment in the red-hot real estate and housing sectors. “Unlike the property market, investment in the gold sector is something the government is encouraging,” ICBC’s Zhou told Reuters. ICBC, the world’s largest bank by market value, sold about seven tons of physical gold in January this year, nearly half the 15 tons of bullion sold in all of 2010, Zhou said. 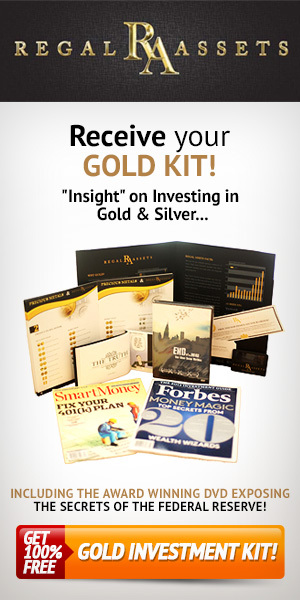 “There is frantic demand for non-physical gold investments. We issued 1 billion yuan ($151 million) worth of gold-price-linked term deposits in 2010, but we managed to sell the same amount over just a few days in January this year,” Zhou said, adding that investors will deposit more than 5 billion yuan ($759 million) in gold-linked accounts this year. Zhou said that the huge increase in Chinese demand would continue in 2011 due to a “choppy stock market” and concerns about how rising interest rates will affect property markets. “For global gold buyers this will have a huge impact because Chinese buying programs are going to drive prices a lot higher before this is done…especially if the dollar gets worse,” he said.